Handcrafted mirror from the Twig Collection. Cast iron and glass. Silver leaf finish on metal. Overall, 17"Sq. x 3.5"D. Inner dimensions, 15"Sq. x 3.5"D. Imported. Weight, 10.7 lbs. Boxed weight, approximately 18.7 lbs. 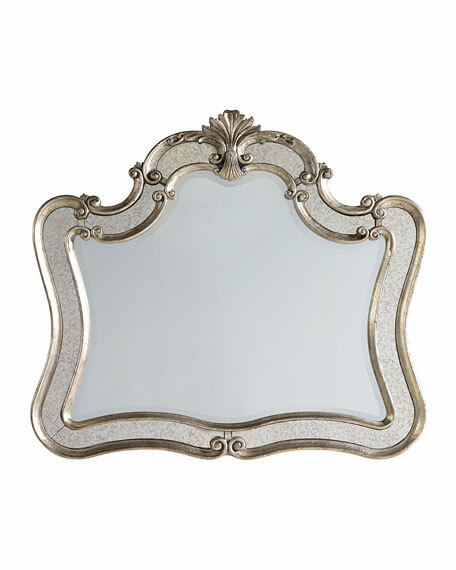 Mirrors sold individually.